Midway, located in the Boundary region of BC, is in a tranquil valley surrounded by protective mountains.  Midway experiences a semi-arid climate with moderately cold winters and hot summers. Daytime highs in the summer often reach 40°C and higher, making the Kettle River that runs through the Village a welcome spot for locals and visitors. Wintertime in Midway is mild to moderate providing a great backdrop for cross country skiing on the local trails and other activities.